Get ready for our NEWEST inflatable, the Trilenium Combo! The Trilenium Combo features 2 slides, a hopscotch board and basketball hoops! This inflatable has something for everyone. 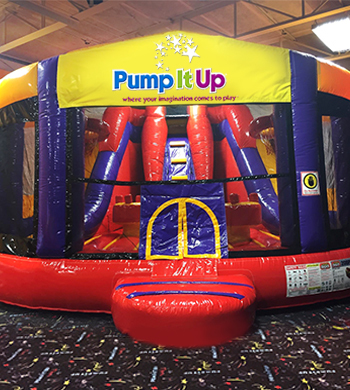 Guests must be under 135 pounds and over 34 inches to use this inflatable. No adults are permitted on this attraction. Come check out our newest arena addition! 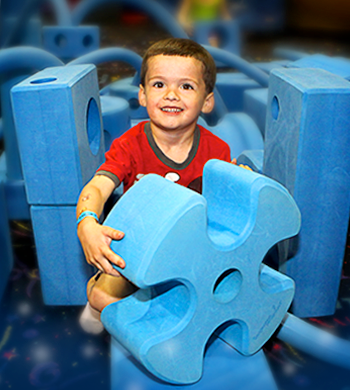 Our over-sized Imagination Blocks are available for parties in Arena A and help spark kids creativity while they create their own masterpieces. Kids love the GIANT Slide! It's massive size makes it everyone's first stop for inflatable fun! 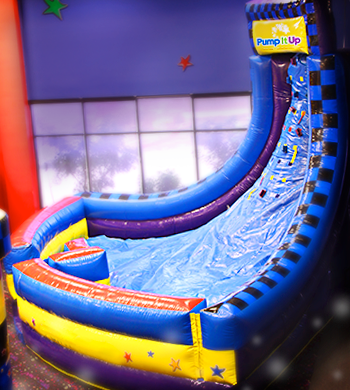 Our GIANT Slide is especially impressive with our GLOW party Upgrade! You won't want to miss our special FX lights that help turn it into a 'water slide'... minus the water, of course! Our Jr. 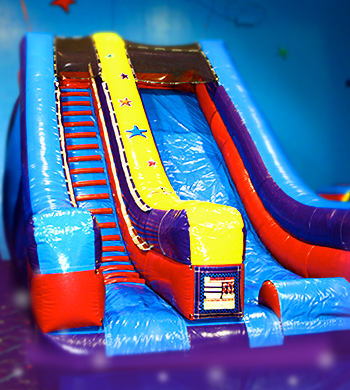 Obstacle Course combines the best of both worlds... climbing walls and dual lane slide! Pairs of kids rush to the this ride to see who can make it through first! Guests must be under 150 pounds & over 34 inches to use this inflatable. No adults are permitted on this attraction. Sports enthusiasts get a kick out of this giant inflatable. Hold a soccer shootout, shoot some hoops or get in the ring and box with our over-sized boxing gloves! Pick one or play them all – the Triple Threat’s a hit! Once our staff hands you the Slippery Slope flag and you make your first attempt at The Slippery Slope you’ll know why it is our most talked about inflatable! Compete with your friends (or dad) to see who can scale the slope and be the first to grab the flag at the top! Will you conquer the Slippery Slope and be the victor? 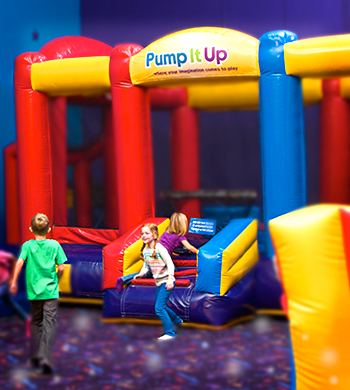 You'll only find the Slippery Slope at Pump It Up of Plymouth! 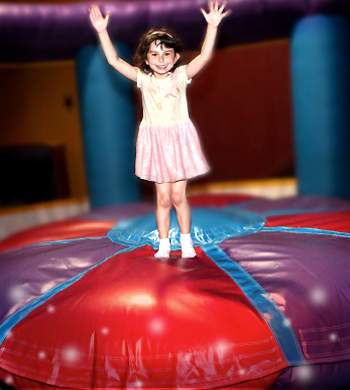 This just might be our favorite inflatable... it certainly is fun for everyone! Jump or Joust? 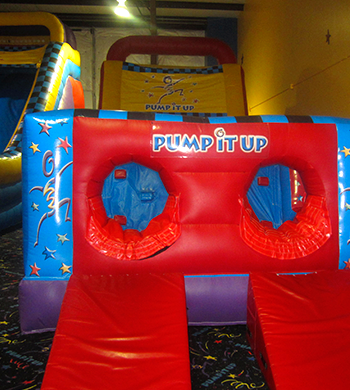 This ride is a blast for up to 6 bouncers at a time for playing tag or trying to balance on the wiggly center pod. If you're looking for more of a challenge then grab a pal and get set for some jousting!